One of the reasons history is exciting is that you often find others who have dealt with similar questions to the ones you’re dealing with. No, they’re not usually identical questions, but they are sometimes similar. When it comes to these similar questions, it’s also interesting to compare the answers given in history to the answers we come up with today. Here at Creation Without Compromise we’re especially interested in the questions and answers that have to do with the relationship between science and Scripture. Today’s venture into history takes us to the late 1700s. By and large Reformed theology had been devastated by philosophical influences associated with the Enlightenment. There were only a few holdouts who could be described as confessionally Reformed and orthodox. One of them was Bernhard De Moor (1709-1780). 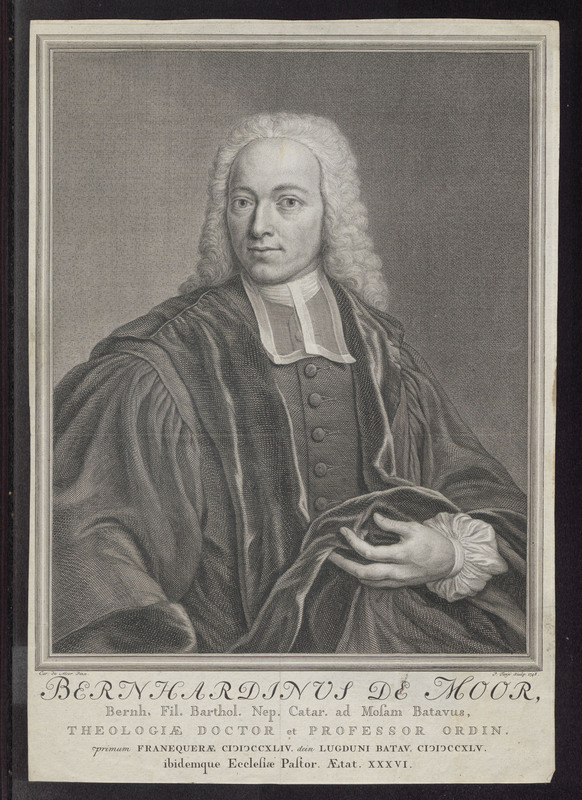 After serving for several years as a pastor, De Moor took up a position as professor of theology at the University of Leiden. In this capacity, De Moor lectured at length on a textbook published by his teacher and friend Johannes à Marck. These lectures were later published in massive seven-volume set with the catchy title, Commentarius perpetuus in Johannis Marckii Compendium theologiae christianae didactico-elencticum. 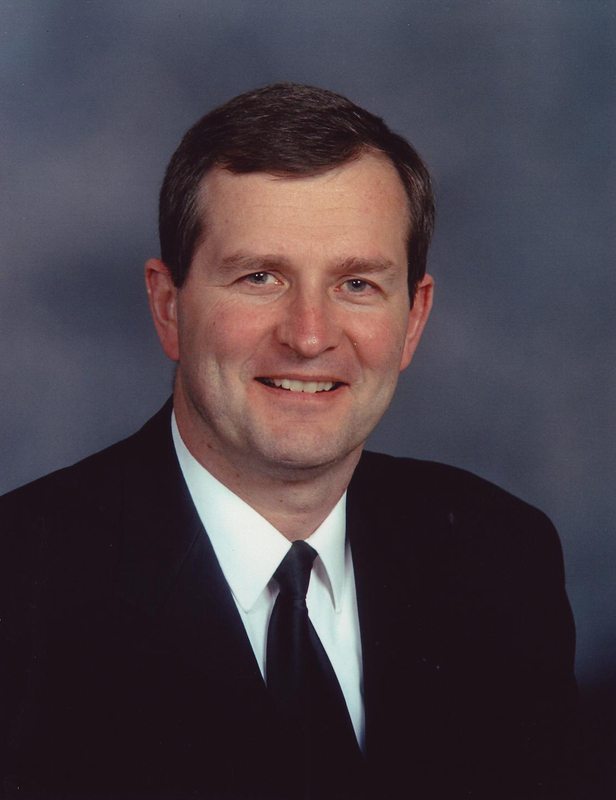 De Moor’s book is regarded as the high water-mark of Reformed orthodoxy. It was a comprehensive overview of Reformed theology as it stood at that time. Dr. Steven Dilday has taken on the massive task of translating De Moor’s magnum opus into English. He has been making it freely available online here. He began in late 2012 and, at this moment, he is currently in chapter 2. This is obviously going to be a project that stretches over many years! Broadly speaking, De Moor is dealing with Scripture in chapter 2. In section 21, he begins by noting that the Bible does have a primary subject: true religion. The Bible is mainly about “the right manner of coming to know and of worshipping/serving God for the salvation of man as sinner and the glory of God…” However, Scripture does also speak of other things related to this primary subject. These other things include natural, historical, and genealogical matters. From there, section 22 of chapter 2 deals with the fact that Scripture speaks truly. De Moor insists that God’s Word speaks truly about all things, including natural things. This is directly connected to the fact that the One who inspired these writings is the Spirit of Truth. Here one has to remember that De Moor is commenting or lecturing on a textbook of Johannes à Marck. De Moor mentions that à Marck points out an alternative hypothesis, namely that “Scripture in natural matters speaks according to the erroneous opinion of the common people.” The philosopher Baruch Spinoza advocated this position, and so did theologian Christoph Wittich. De Moor also notes that the English theologian Thomas Burnet took this position in regards to what Scripture says about creation and the Flood. Just prior to that, he also points out that this was the view of Balthasar Bekker (1634-1698), a Dutch theologian heavily influenced by Cartesian rationalism. Now I want to pause here for a moment and mention something important about Bekker. Bekker argued the hypothesis mentioned by De Moor in relation to demons. Specifically, Bekker taught that the angels (including demons) are not real, but the good angels in Scripture merely speak metaphorically of God’s omnipotence. Bekker also taught the Eve was not tempted by a literal snake in the garden, nor was Christ literally tempted by Satan – it was merely a dream. At issue was Bekker’s way of interpreting Scripture. Dutch theologian Wilco Veltkamp has written a dissertation which delves into this. In a December 2011 article in Nader Bekeken (see here), he explained the connection between the hermeneutics of Bekker and that of theistic evolutionists today. The connection is a refusal to start with the authority of Scripture and submit to Scripture through to the end of an issue. Going back to De Moor, this hypothesis gets several points in response, beginning with the observation that its foundation is preconceived human opinion rather than Scripture. De Moor points that the Bible was inspired in all things by the Spirit of Truth. Scripture calls God the God of Truth. This hypothesis makes him a liar. Moreover, God is omniscient and he knows that of which he speaks. He would also never deceive us or leave us in error. If this hypothesis were true, De Moor writes, we are at liberty to interpret Scripture as we please and there would no longer be any certainty as to what it actually says. De Moor quotes Augustine as he insists that none of the canonical writers erred. He finishes responding to this hypothesis with a reference to article 5 of the Belgic Confession, “We believe without any doubt all things contained” in these canonical writings. De Moor then adds some nuance to the discussion. He notes that while the Holy Spirit “never speaks according to the errors of the common people,” he can accurately relate errors made by people. Further, De Moor acknowledges that Scripture does sometimes speak according to external appearances. For example, the Greek in Acts 27:27 literally says that the sailors with Paul suspected that some country was “drawing near to them.” Of course, the land wasn’t approaching the ship, but it is common to speak in that fashion and no one errs in so speaking. There is one more objection that De Moor addresses – this one also comes from Spinoza. It’s one that is still trotted out today, albeit in a different form: Scripture is not designed to teach us concerning natural matters or science. Instead, the intent of Scripture is to make people obedient. Today’s version usually refers to faith or salvation rather than obedience. But certainly we do hear today as well that the Bible is not a “textbook for science” and such things. How does De Moor respond? He affirms again the primary purpose of Scripture is to teach true religion. However, that primary purpose does not exclude subordinate ends such as teaching people the magnificent natural works of God. One does not rule out the other. Finally, it would out of place to suppose that the Holy Spirit would use errors to carry out his purposes. He would never give anything contrary to the truth – it would be out of character for him. It’s important to remember the era in which De Moor lived – it was the heyday of Enlightenment rationalism. The Bible was under attack by those who said that it could stand in the face of reasoned scrutiny and scientific developments. Intelligent people could not take the Bible seriously at face value. In that milieu, De Moor stood for the absolute authority of the Word of God. He promoted confidence in the infallible and inerrant Scriptures, also when it came to the relationship between Scripture and science. He was not a rationalist – no, he was addressing rationalism and doing so on the basis of Scripture. Those promoting theistic evolution today, especially in Reformed churches, need to ask themselves whether they are carrying on the heritage of theologians like De Moor or betraying it.